What if you could get unstuck & find peace without losing touch with the valuable pieces of yourself & your story that desperately need to be honored? You know that feeling when something precious or valuable falls to the ground and shatters? A loss of breath, a knot in your stomach. Time freezes for a moment. You might start to realize what you’ve lost and wonder if or how it could ever be made whole again. You start to gather up the pieces so that the ground is safe to walk on again, and face the question of whether to throw it all away or try to put it back together again. And even if you choose to begin putting the pieces back together, the process feels so overwhelming. And what if you’ve even lost a piece entirely? 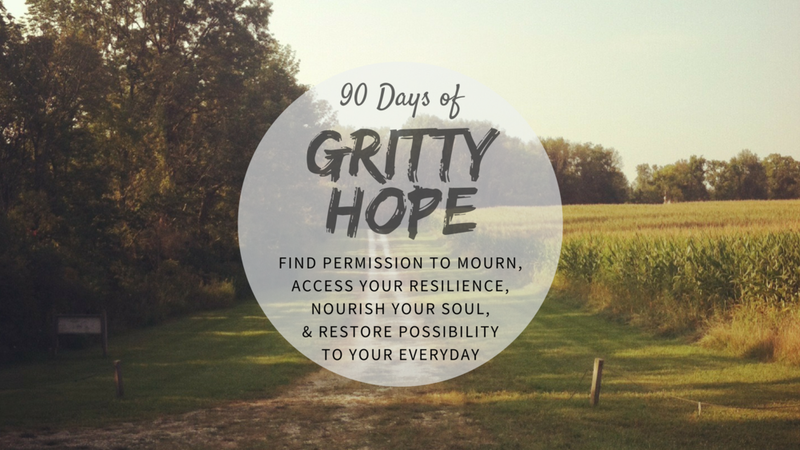 In this course, professional coaches Emily Hathway and Jami Taylor lead participants through 90 days of gritty hope - a hope that walks through the mess, sees the brokenness AND chooses to discover a new way of being whole. If you find yourself anywhere in this description, we invite you to participate this online course. ...aware that you are avoiding particular topics because you know if you press into them, there will be "too much" to deal with? ...afraid that if you set aside a manageable amount of time to deal with the things you need to that you won't be able to function as a normal person in the world for a while? ...noticing that internal alarms are going off within you when certain words like "hope" or "peace" or "trust" come up? ...tired of feeling like you are constantly on guard or protecting yourself from the possibility of more pain? ...wistfully wishing you felt as strong/free/carefree/hopeful as you used to? ...feeling a building resentment against those who "have it easy" in your life? 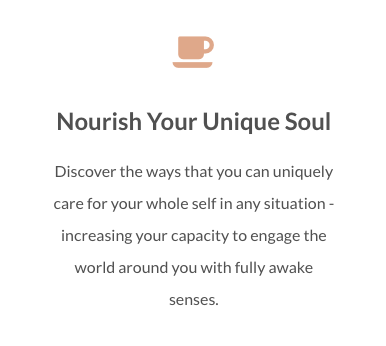 ...simply yearning for deeper connection to your truest self and a sense of greater aliveness? Our course will begin with an introductory workshop on taking good care of ourselves, acknowledging our pain as well as our strength. 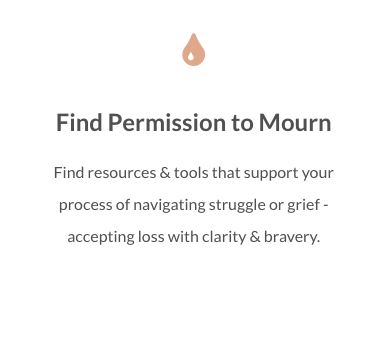 Participants will learn how to identify exactly what self-care means for them, uniquely and personally, and how to implement a self-care plan that nourishes their souls while doing the exhausting, brave work of grieving loss and finding hope. When a region of earth is experiencing a drought it can take several weeks, months or even years of low rainfall and difficult growing seasons before people know that they are in a drought. The end of a drought can be just as gradual as the drought began. Heavy rainfalls or storms would actually do more harm to the earth in a drought. The only way for a drought to end is through a series of soaking rainfalls that restore the groundwater, allowing the earth to be productive and to flourish again. In workshop 2, we will explore drought and soaking rain as a metaphor for grief and hope. Our society and culture tend to put a lot of value on the doing side of life. “Do more.” “Do better.” “Never stop.” But we know that life is full of the complexity and balance of “both/and” and we cannot tip the scale too far in one direction. In workshop 3, we will discuss the places of “both/and” in our lives - BOTH being AND doing, BOTH desolate AND hopeful, BOTH lost AND remembered. We will explore examples of complexity, such as the way that the moon cycles while holding BOTH yin energy AND yang energy, and we will discover the areas of complexity in our own lives, as well. When we go through a painful experience, we often cage up the piece, or pieces, of ourselves that experienced loss, attack or rejection during that painful experience. Whether that be our intuition, our belief, our compassion, our creativity, or even our hope, those parts of ourselves that were vulnerable and deeply wounded tend to get locked up tight. In workshop 4, participants will be led through a gentle and graceful process of re-discovering those parts that have been caged up and how to begin uncaging and letting go - a process that will happen in very different ways and at very different paces for each individual. We believe that any sort of change starts in the imagination. What we allow our minds to imagine becomes what we believe is possible. Imagination can be used in a way that creates lack, fear, and limits in our lives OR it can be used to create opportunity, beauty and abundance in our lives. In workshop 5, participants will learn why imagination is for adults just as much as it is for kids, and how to use their own imagination to shift what is possible in their lives. In our final workshop, we will learn about what happens to an environment when it is ‘rewilded’ as a metaphor for resilience and what can happen when you show up as fully ‘you’ as possible. Resilience doesn’t always mean that you go back to an old way of being/doing, but rather that you create a new way of being/doing that brings wholeness and allows for new growth in your life. Participants will begin to see their own resilience and acknowledge the beauty in who they are now as they journey through this last workshop in this course. Each workshop will begin with a live video gathering with focused teaching and discussion around the workshop topic. After each webinar, that week's workshop content will be made available including powerful readings, insightful videos, and transformational activities, as well as resources for further learning. We believe healing and human growth happens richly within the context of relationship, and as such one of the intentional byproducts of this course is the supportive community it generates. We welcome all participants with all types of grief and loss stories. Everyone engages healing and growth uniquely, so we have created content that you can access 24/7 from the privacy of your laptop or phone. All provided course content, including downloadable & virtual content, will remain available to you for life. We are committed to your satisfaction with the course and as such, we provide several opportunities throughout the course for you to periodically assess your experience. Because we posture ourselves responsively to your feedback, your satisfaction is guaranteed - if you decide that you are unhappy with the course you will receive a full refund. click below to complete our Scholarship Form & see what you qualify for! Emily Hathway (MA, LSCC) has a passion for seeing gritty and vibrant hope come in unexpected and often forgotten places, especially through the beauty of community and in the unpredictable messiness of life. 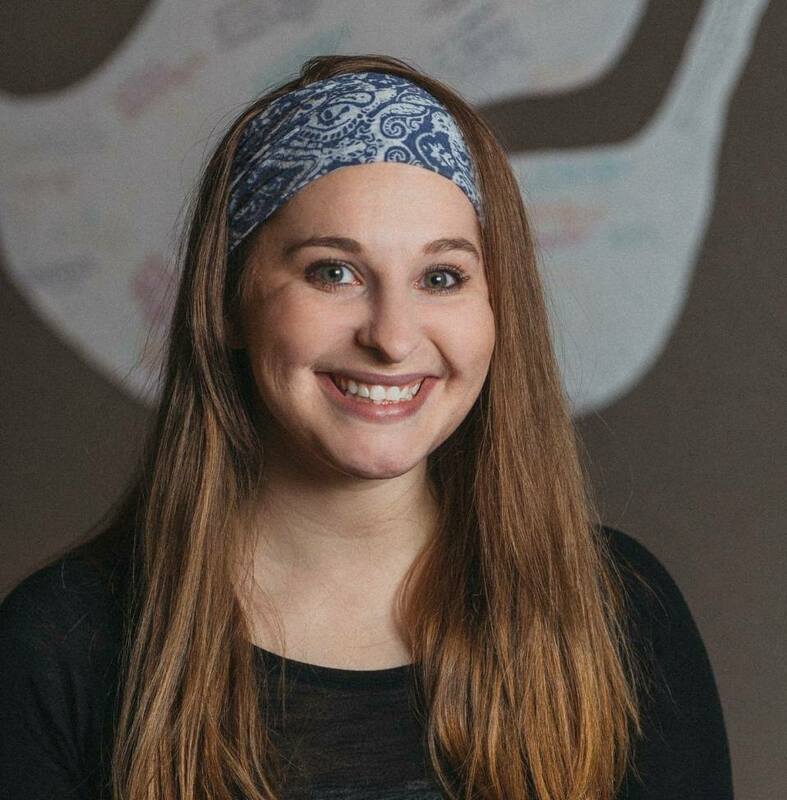 Emily holds her Bachelors of Science in Nursing and Masters of Student Development Counseling & Administration from Indiana Wesleyan University, and her coaching certification through Lark's Song. During her time in graduate school, Emily lived in an intentional community in downtown Marion, Indiana and sought to learn and grow through honoring relationships and actively valuing people's stories in her home and in the neighborhood. The emerging themes in her life, and some of her favorite topics to coach around, include imagination and creativity, abundance, courage, and deep hope. Emily's coaching practice focuses on individuals and small communities, and leading group workshops on topics usually related to awakening dulled senses. She is also a hand lettering artist and creative. 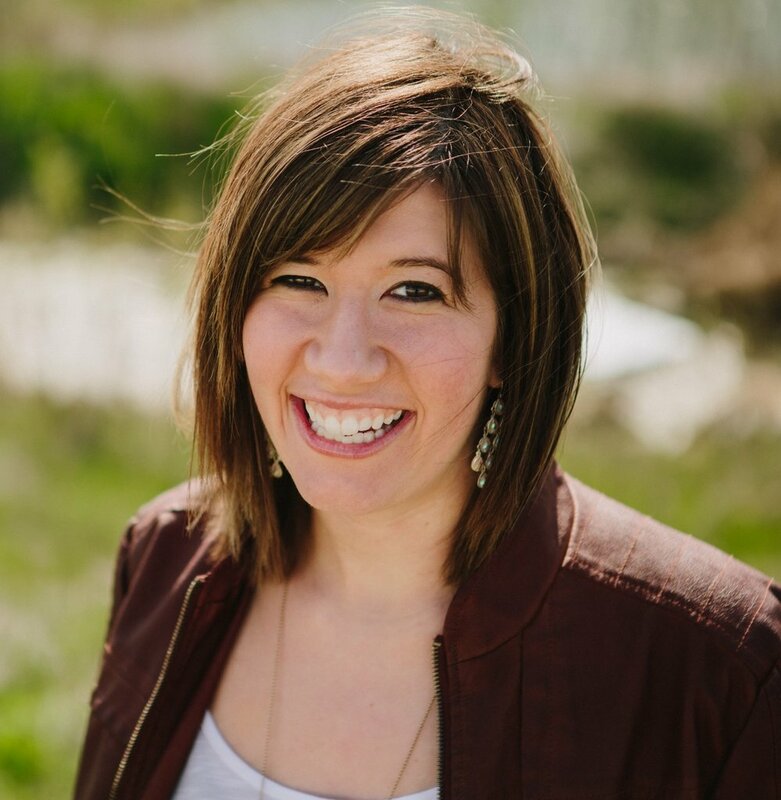 Jami is a Lark's Song Certified Coach, and she holds a degree in Biblical Literature and Intercultural Studies from Indiana Wesleyan University. She has a deeply rooted passion for helping others turn up the volume on their own unique song and she expresses this in all areas of her life, professionally and personally. She works at Lark's Song as the Creative Strategy Coach for the LSCC Community, and she home schools her children. Jami spent several years serving children in the foster care system at a children's home in Georgia alongside her husband, Tom. She and Tom have fostered children in their own home, as well. They now have two beautiful sons, one adopted and one biological, and a baby in heaven whom they never got to meet. Her journey through parenthood has progressed in ways she never imagined, which in some ways has brought more beauty and love than she ever knew was possible, but in many other ways it has brought an enormous amount of loss. During intense times of grief, she has felt like the possibility of hope was just an impossible and naive make-believe story, but through finding GRITTY Hope she has found a sense of meaning and wholeness even in what was once so very broken. One of her absolute favorite things to do is to sit on a blanket in the sunshine and paint. A beautifully refreshing drink and friends or her kiddos nearby enhances the experience, too, of course!